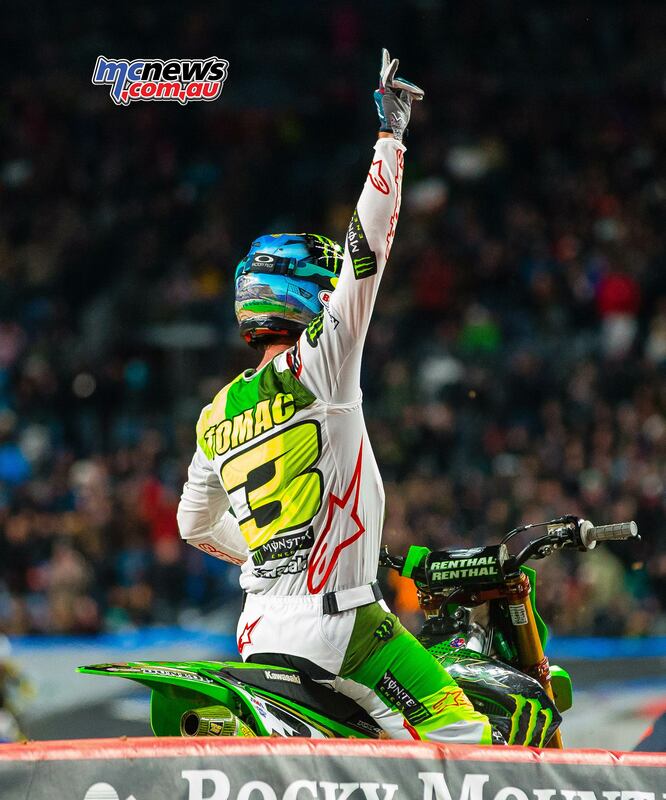 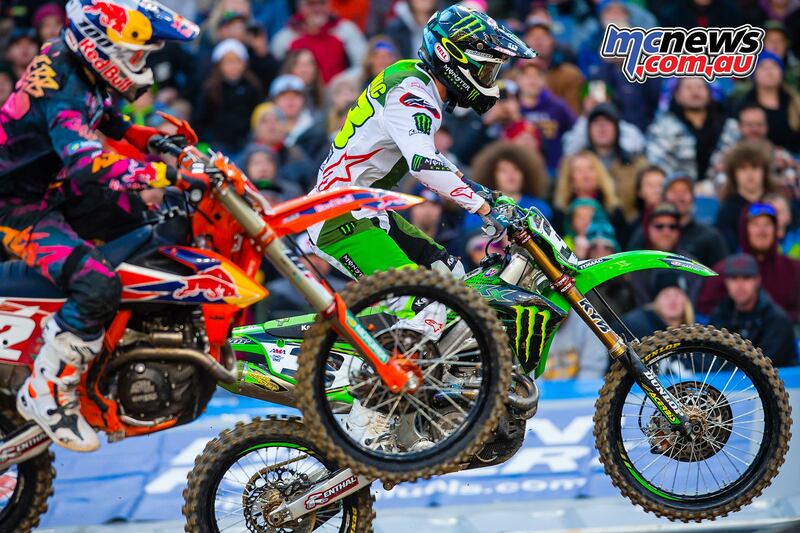 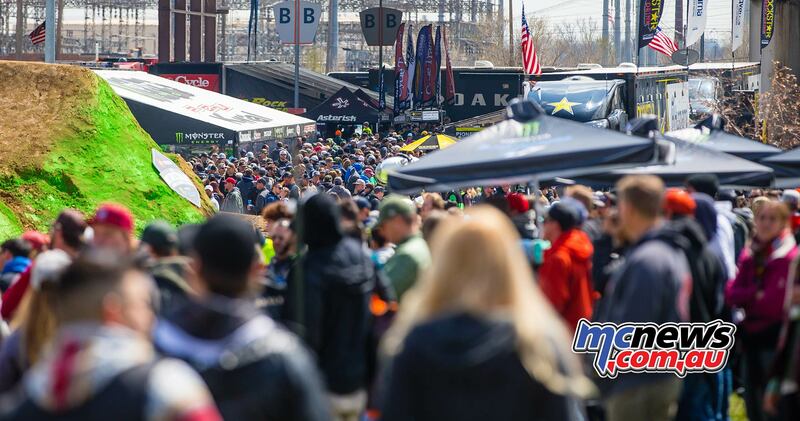 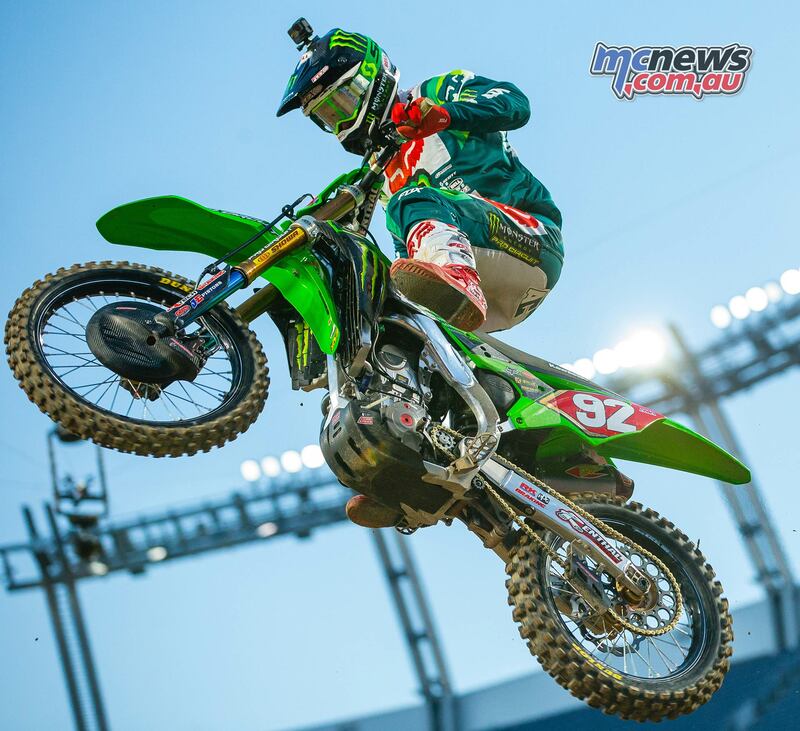 Denver was the 15th straight weekend of the AMA Supercross Championship and it was Eli Tomac who kept his slim 450SX championship hopes alive with a win over Cooper Webb. 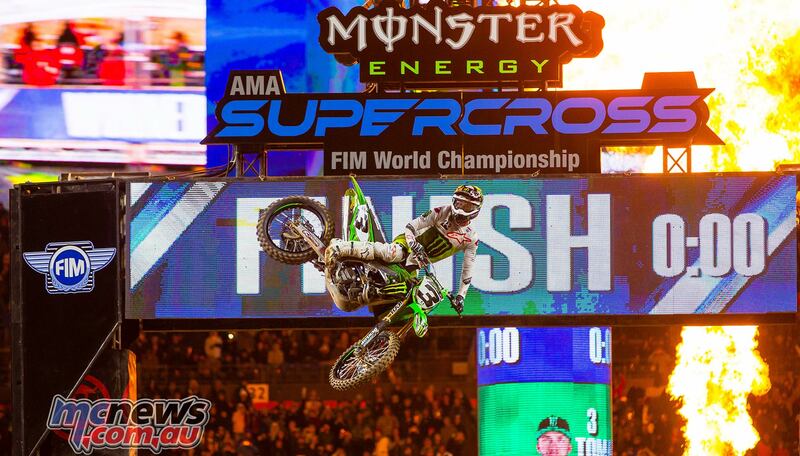 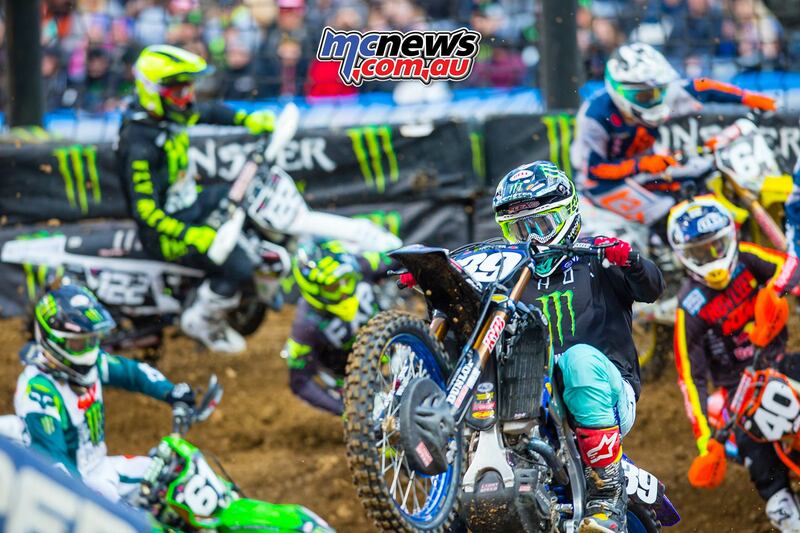 Adam Cianciarulo meanwhile extended his narrow championship lead in the penultimate 250 West Coast main with a win over his closest rival Dylan Ferrandis. 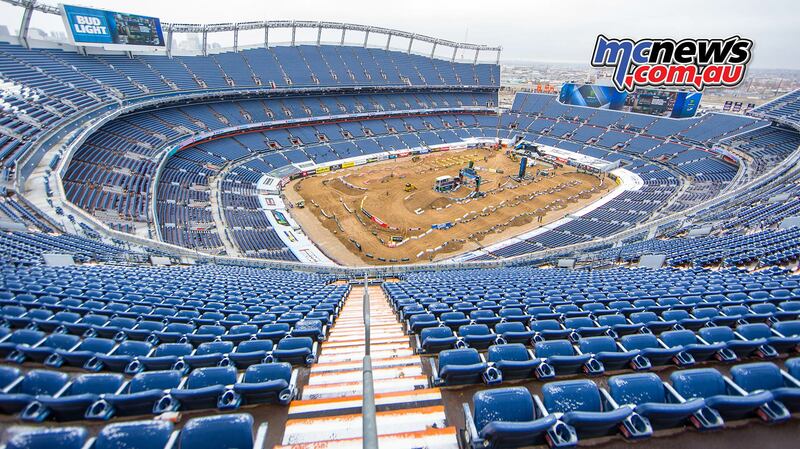 There were several extra challenges for the riders at Denver, the first being the freezing cold, in fact, the first practice session was cancelled because of the snow all over the circuit. 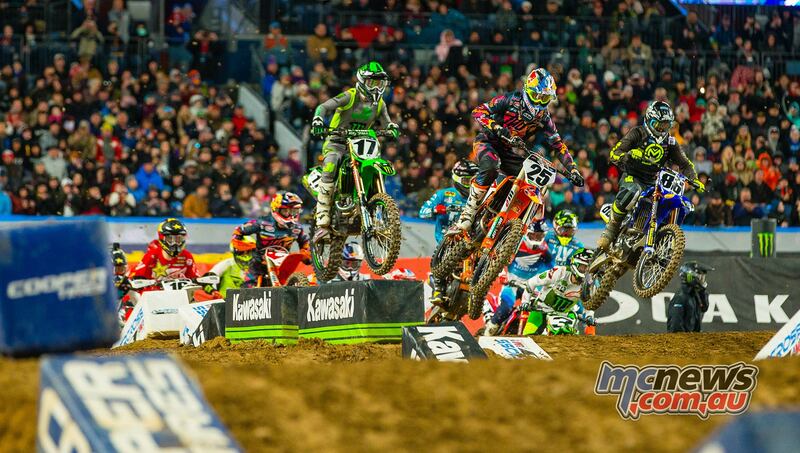 Horse-power sucking altitude also caused issues as the riders stretched their way over some of the trickier jump combinations and finally the cold soil became hard and slippery leaving the riders fighting for traction on what ended up being a relatively one-line layout. 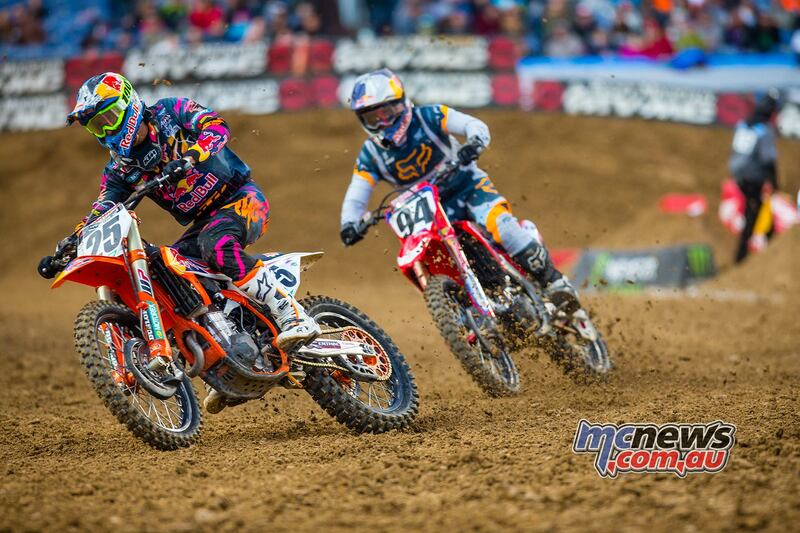 Marvin Musquin grabbed the holeshot over Joey Savatgy, Ryan Breece, Justin Bogle, Webb, Tomac and Zach Osborne and as Breece dropped outside the top ten, Tomac was storming forward to pass Webb, Bogle, Savatgy and finally Musquin to take the lead by the end of lap four. 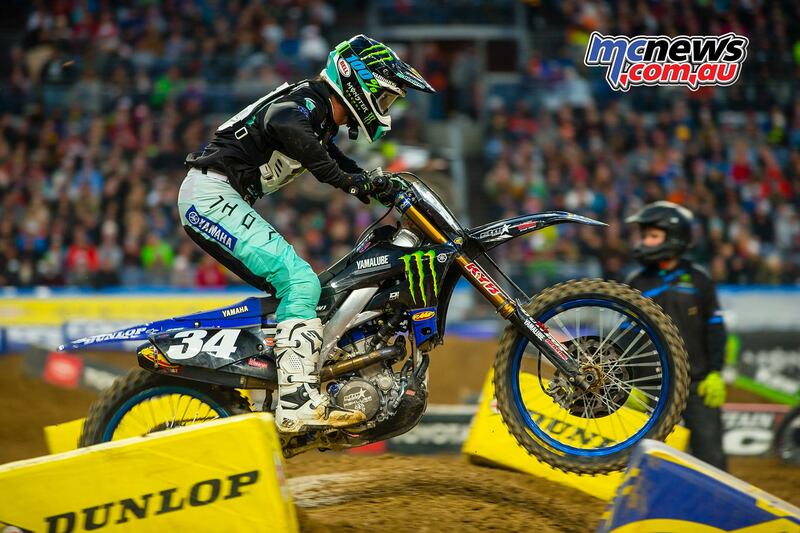 All eyes were on Webb who looked patient in fifth but steadily, and I mean steadily, the championship leader moved by Bogle and Savatgy to take the final podium position. 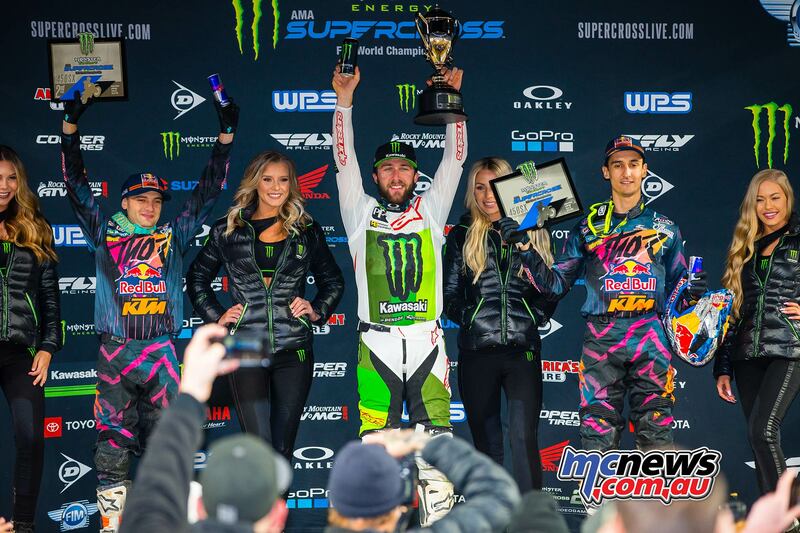 Cooper was not done and methodically closed in to pass teammate Musquin for second and that is where they all stayed to the line with Tomac taking the win from Webb, Musquin, Bogle and Savatgy. 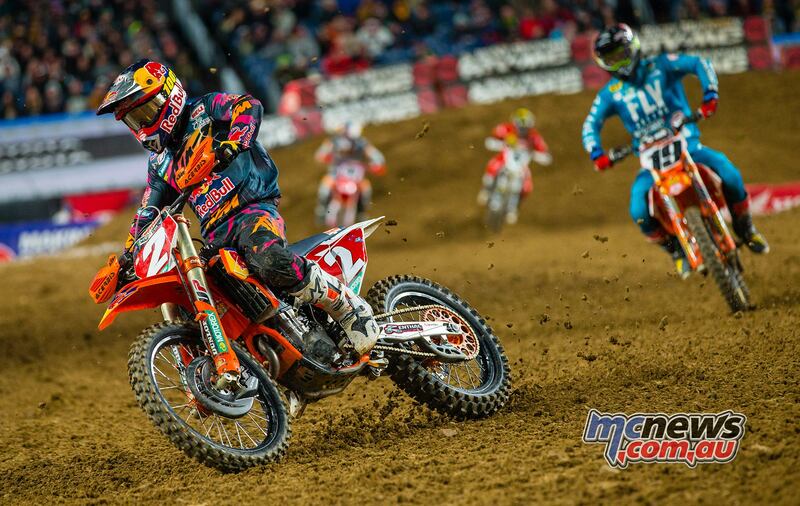 Behind the front runners we saw Blake Baggett, Ken Roczen, Osborne, Josh Grant and Justin Hill rounding out the top ten. 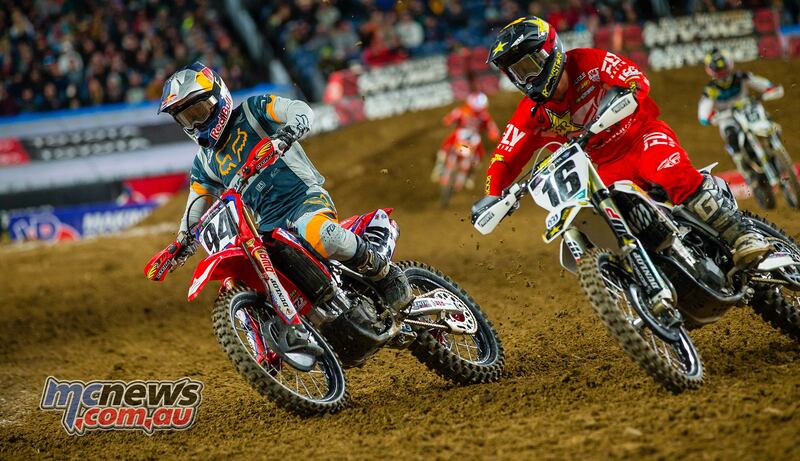 Cole Seely and Dean Wilson were both involved in separate crashes that ended with neither rider crossing the finish line. 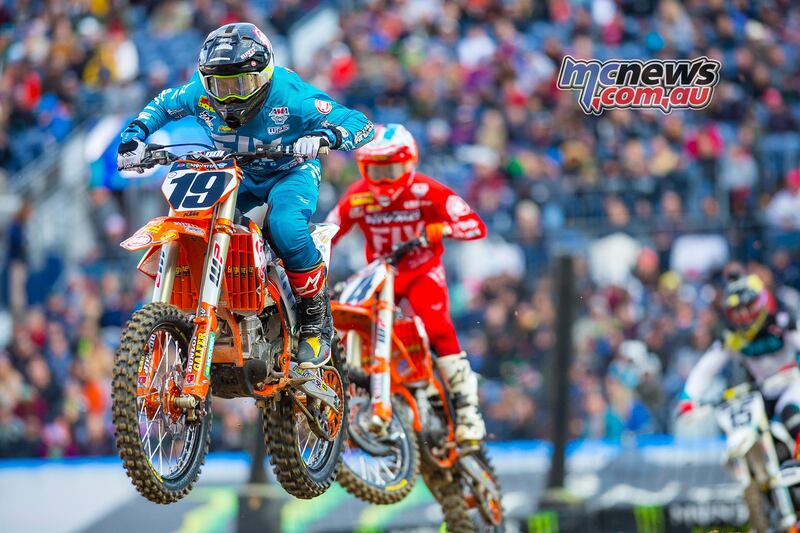 With just the East Rutherford and Las Vegas rounds remaining, Webb holds an 18-point lead over Tomac while Musquin sits a further five points back. 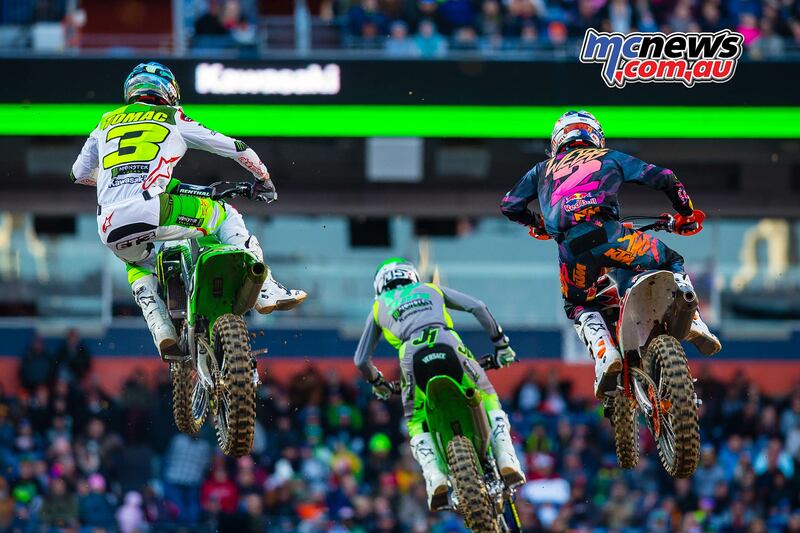 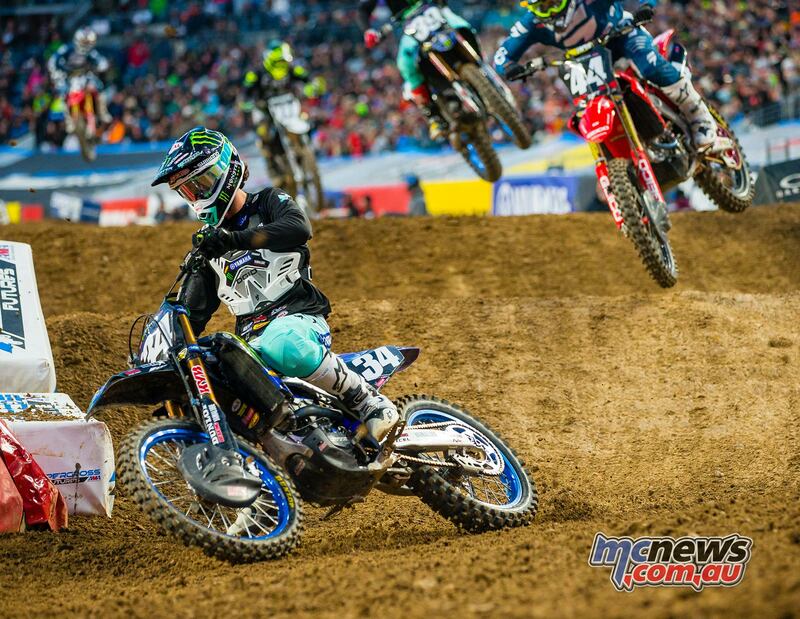 Rookie Michael Mosiman earned the holeshot from Cianciarulo, Gareth Marchbanks, Jimmy Decotis, RJ Hampshire and Dylan Ferrandis so the expectation was that Cianciarulo would move to the lead and check out. 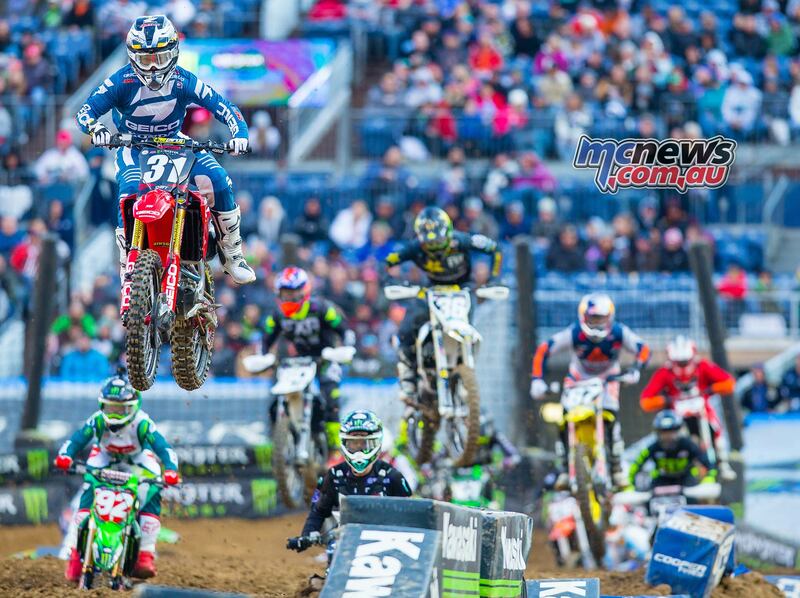 But Mosiman was enjoying his time at the front to keep the championship leader at bay for a full six laps. 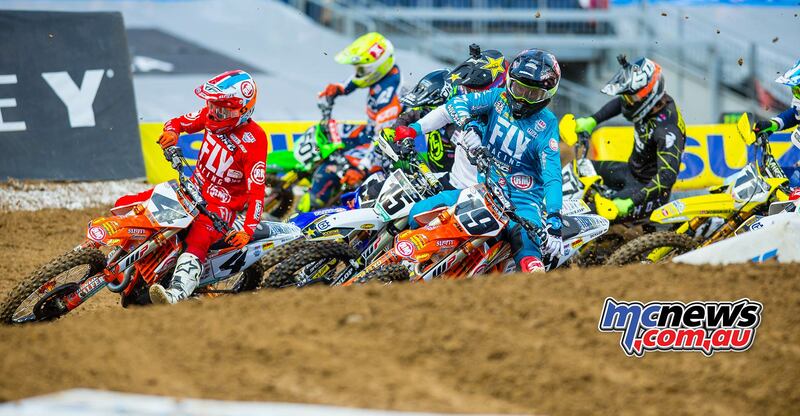 Just as Cianciarulo moved into the lead, Ferrandis slotted into third with a move on Decotis and it wasn’t long before both Ferrandis and is teammate Colt Nichols sliced by Mosiman for second and third. 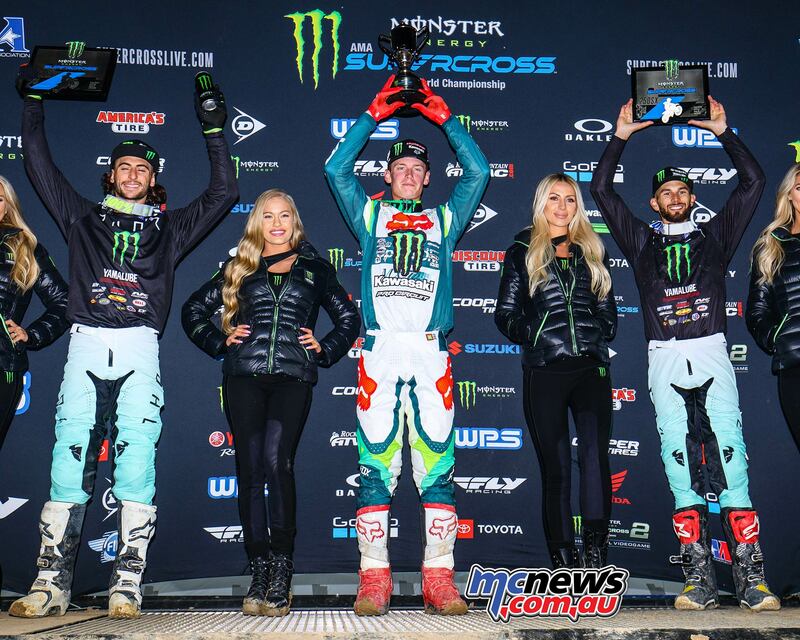 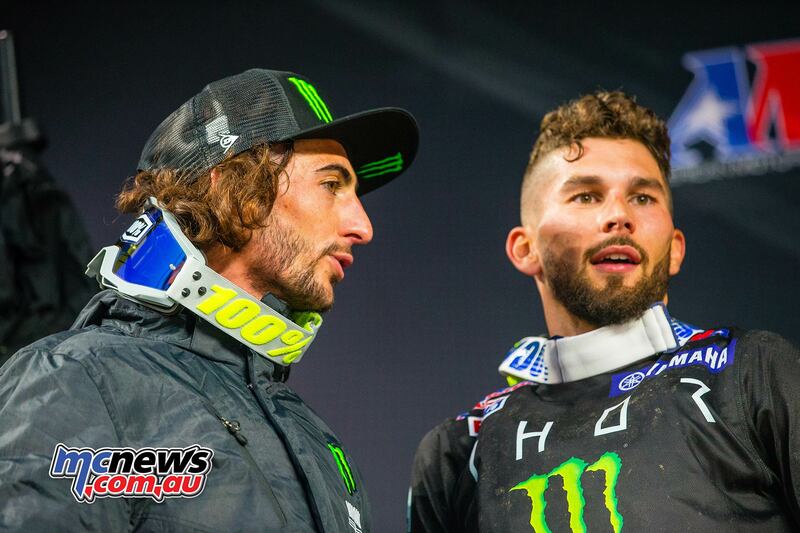 That was where the main players remained to the flag with Cianciarulo taking maximum points over Ferrandis, Nichols, Hampshire, Mosiman and Cameron McAdoo. 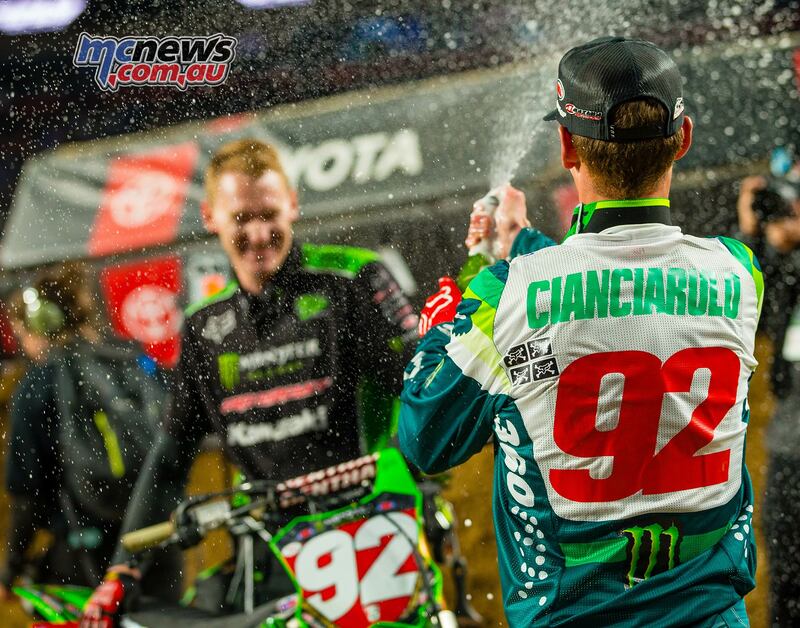 Cianciarulo takes an eight-point lead over Ferrandis as they head to Vegas for the East/West Shootout in two-weeks’ time so nothing is in stone as far as this championship goes.